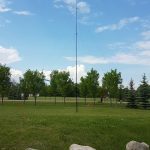 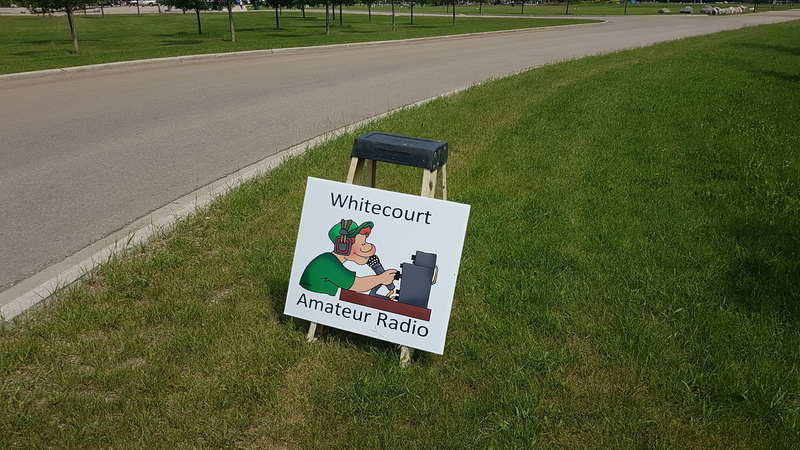 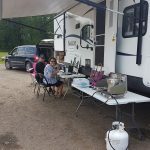 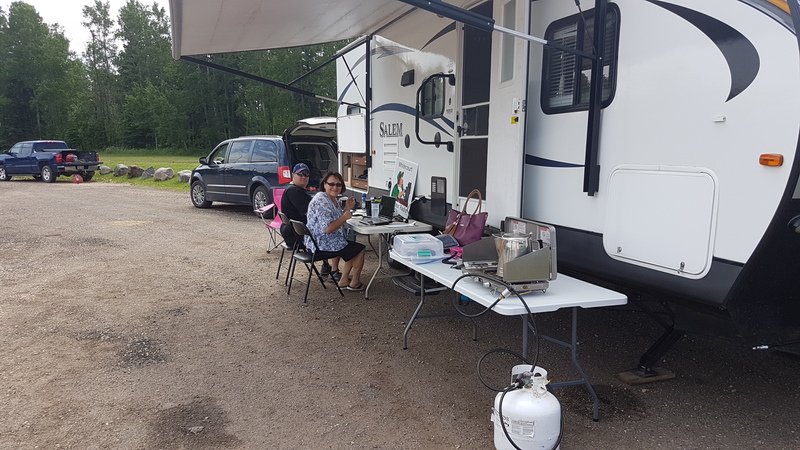 Another wonderful year for the ARRL Amateur Radio Field Day contest, this year it was held at Rotary Park in Whitecourt, AB. 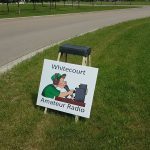 There was also another group just north of Mayerthorpe as well participating in the contest and were visted by the Barrhead Leader. 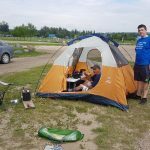 Both events was a huge success in terms of having fun, camaraderie & some good laughs at each other’s expense. 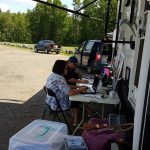 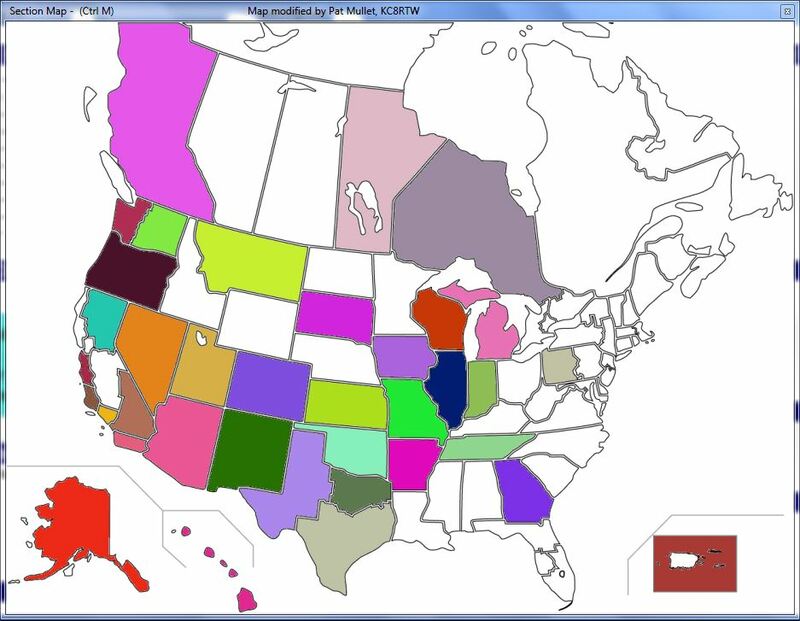 Just like our RAC Winter 2017 contest, live results could be followed from the website for those that could not make it. 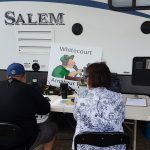 We started setup around 10 am on Saturday, June 23, this is a 24 hr event starting at 12 pm and its purpose was to have fun, show the public what amateur radio was all about and make as many contacts as we can in the 24 hr period with other stations. 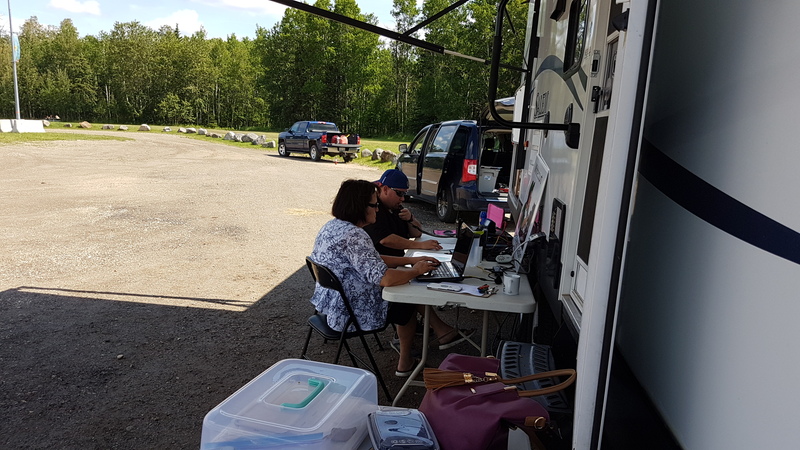 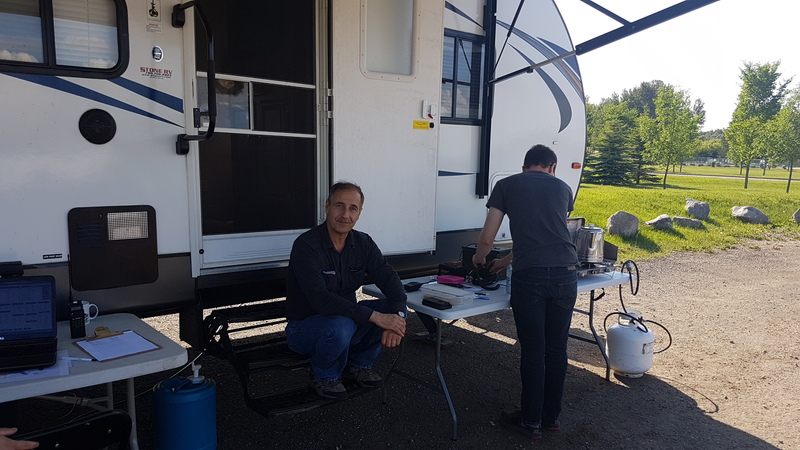 We ran on generator power for the duration of the contest using one radio, the Yaesu FT-991 Throughout the day, other hams in Whitecourt stopped by to help out. 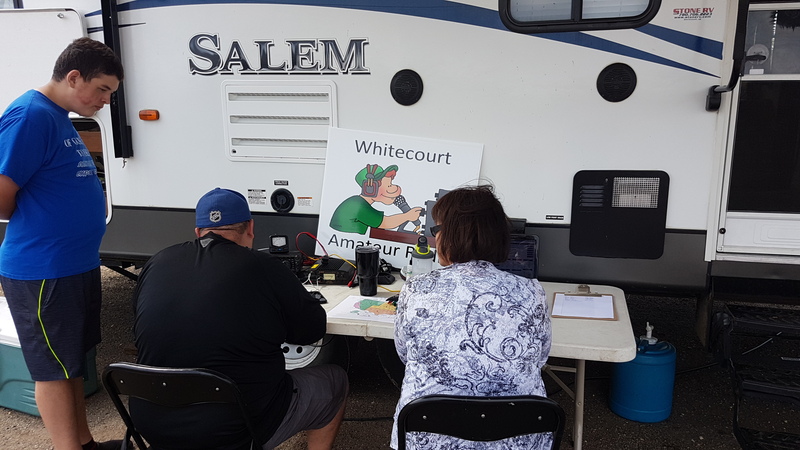 Members from the public & local news agency’s the Whitecourt Press & Whitecourt Star also stopped by to check out this exciting hobby. 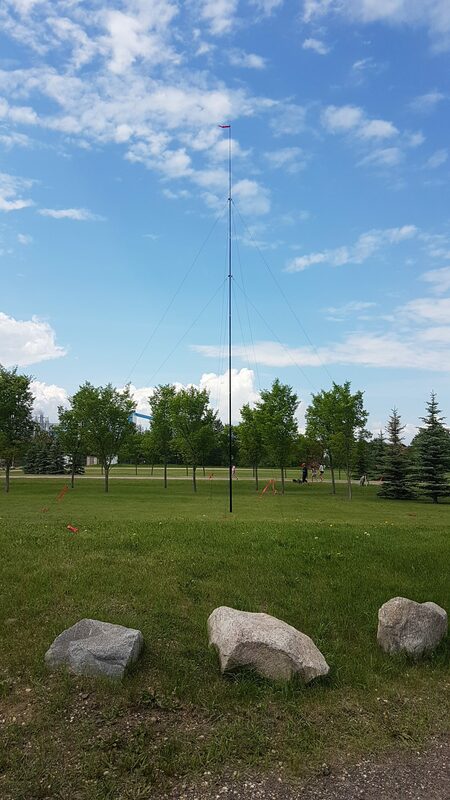 Of our 80 contacts, one in Japan was our furthest JG1OUT, roughly 7800km from Rotary Park. 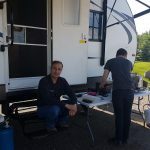 Letting every one know we are here.